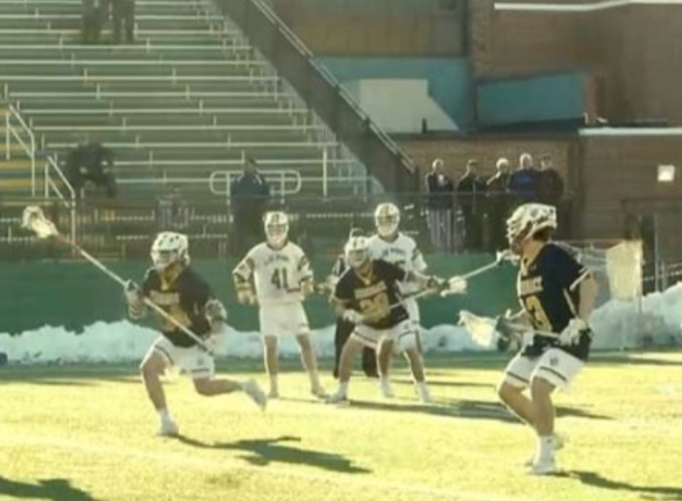 The men’s lacrosse team faced East Coast Conference rival, the Molloy College Lions, on Saturday, March 30 at the Bethpage Federal Credit Union Stadium. 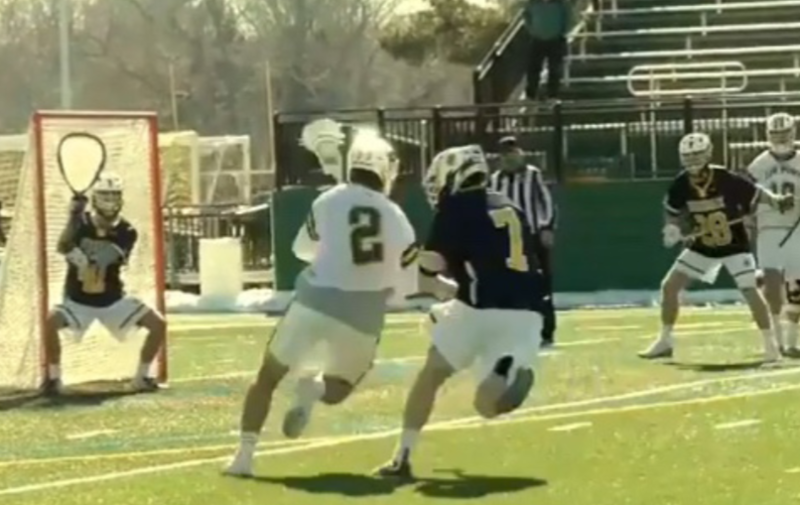 It took the Pioneers less than two minutes to score the first goal of the game when sophomore attackman Will Snelders, put a shot right by the Molloy goalie. Snelders finished the game with five goals. “When I have free time, I go out to the field a lot, shoot the ball on net to get my shot on point,” Snelders said about his preparation for the game. The Pioneers increased their lead as they outscored Molloy, 9-3, in the first half, with goals from Snelders, senior midfielder Steven Frank, junior midfielders Thomas Liantonio and Mike Kadner, and freshman attackman Jake Gillis. In the second half, the Pioneers continued to score with their high powered offense, outscoring the Lions 7-2 in the third quarter. In the fourth quarter, the Molloy Lions scored two goals, but the Pioneers were too far ahead for the Lions come back. The Pioneers beat the Lions 17-7, achieving their third consecutive victory. Gillis ended the game tying Snelders, with a game high of five goals. Gillis and Snelders have almost identical statistics this season; Gillis has 38 goals and 13 assists and Snelders has 34 goals and 12 assists. “Jake and I are very close. Our chemistry is improving every game we play,” Snelders said. “We both learn from each other. He learns more of my style, using your body as your advantage and I’ve learned the Canadian stick skills he brought.” Last sea- son, Snelders was the team leader in goals; this season Gillis is leading the team in goals. “Last year, I had a target on my back. He helps make the target on my back smaller and now teams have to worry about both of us,” Snelders said. Connor Farrell ended the game with a perfect face-off record, going 22-22. “Every time I pick-up my stick for practice or a game, I tell myself I’m the best in the nation because facing off is all a mind game. If you think you’re the best, that’s exactly what will happen,” Farrell said. 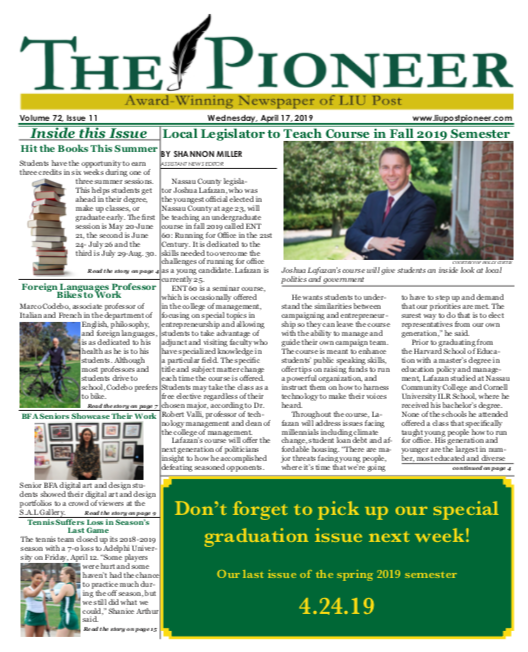 Farrell has a successful face-off percentage of 86.5 percent for the season, according to the individual statistics on liupostpioneers. com, making him the best face-off specialist not only in Division 2, but across all collegiate levels of lacrosse. 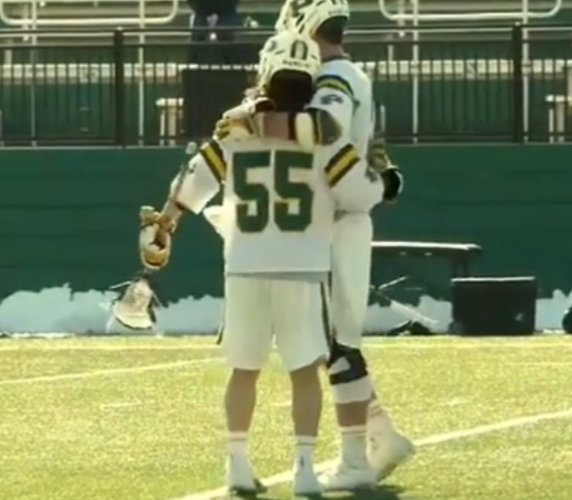 The men’s lacrosse team will travel down to Washington D.C. on Saturday, April 6, to face East Coast Conference rival, the University of the District of Columbia. Start time is set for 1 p.m.